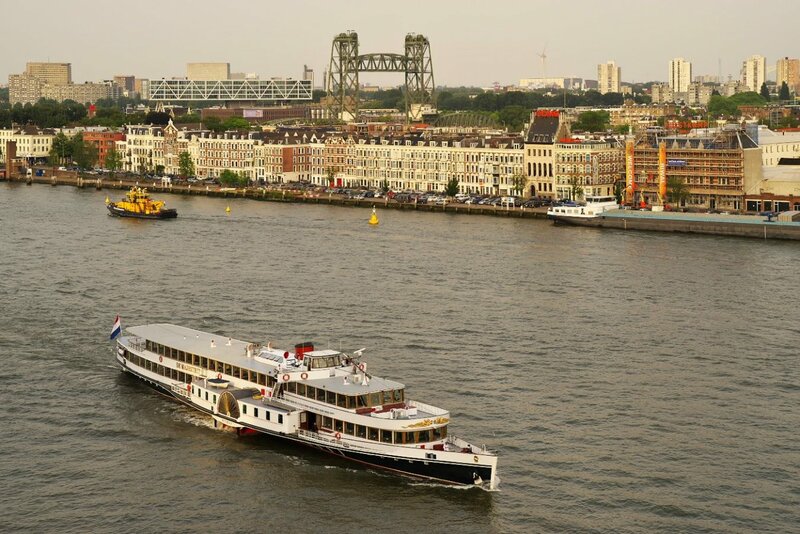 De Majesteit has remained one of Europe s largest and most luxurious paddle steamers since it was launched in 1926. This royal steamer was restored in 1999 after years of cruising around the continent. It is over 80 metres long and 16 metres wide and can accommodate up to 600 passengers. The interior of the saloons, with their gem-like woodwork and glass, whisk you back in time.